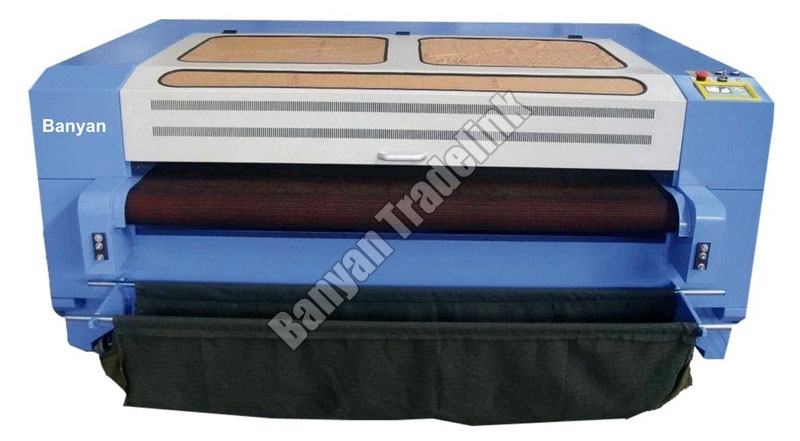 Fully Laser Cloth Cutting Machine finds wide usage in cutting cloths, cloth toys, leather, paper products etc. We are an eminent Importer, Exporter and Supplier of Fully Laser Cloth Cutting Machine from Ahmedabad, Gujarat. The Fully Laser Cloth Cutting Machine that we offer is known for its advanced features, easy usage and longer operational life. Adopting Precise CNC Technology. High-Controllable Flight-Path Laser Design & Professional Design & Professional Design Software, Can Output Cut Samples Immidiately After Design, Double Heads Increase Working Efficiency. Adpoting International High Speed 32-Bit Component Smart Carver Controller, With Automatic Compensation For Bad Light Technology, Smooth Acceleration & Deceleration Control Software Technology, Also Can Choose Optical High-Performance, High Precision Servo Motor, Scrolling Bed, Automatic Feeding Device Be Able To Work Continuous Output Processing. A Selection Of Laser Equipment For A Variety Of Materials Processing Industry Is Technological Innovation, Is The Preferred Programme, Can Save More Cost For Customers. Semi Automatic Laser System, Have Power restored, Power Outages Continued Carving, Processing Time Forecast.